Transmission repair can be some of the most complicated work done on a vehicle. Each make and model comes with its own intricacies. In order to ensure your transmission repair is done right, you should always use an ASE Certified technicians who also offers a warranty on parts and labor. 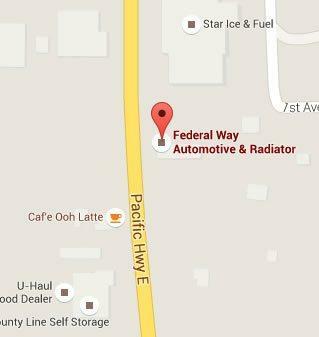 At Federal Way Automotive & Radiator we know how to treat our Fife, WA neighbors right. Your transmission repair near Fife is in good hands with our 12-month/12,000 mile warranty. Our ASE Certified technicians know how to repair the transmissions of any make and model, including fleet vehicles. We start with good diagnostics. 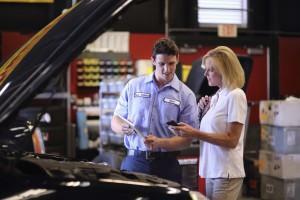 Our state of the art diagnostic tools narrow down whatever issues your transmission is having. Our knowledgeable, experienced technicians are also part of our accurate diagnostics. We don’t wast your time or money poking around your vehicle’s transmission to find the problem. We get right to the source. All our pricing is upfront, affordable, and honest. We thoroughly go over the details of your transmission repair and let you know all the factory recommendations as well as what we found. We give you options, whenever possible, on what can wait and what shouldn’t. We let you make an informed decision about your car without any pressure from us—just honest service and advice for your auto repair. The best way to keep your car’s transmission in good shape is to have it in for regular maintenance. Regular service allows us to watch your car’s moving parts for wear. We can make replacements, tighten items, and keep liquid levels full. All of this will go a long way in avoiding a breakdown. Elongate the life of your transmission, and your car in general, by bringing it in for a regular inspection and tune ups. Whether you need clutch repair near Fife or some other aspect of your transmission worked on, it is always best to get it checked out immediately. 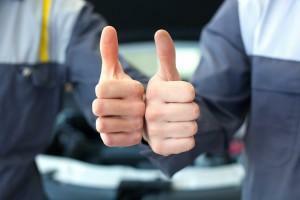 Letting transmission problems worsen can greatly increase the damage and the cost of repair. For transmission repair Fife trusts, bring your vehicle in. See the difference good old fashioned customer service and over 30 years of experience can have! Fife, Washington is a hidden gem in Pierce County. With a steadily small population of under 10, 000, the residents find it easy to maintain that hometown feel. Conveniently located near Tacoma and only a short distance to Seattle, Fife offers a small-town feel with big city flair nearby. With lovely scenery, friendly people, and things to do like the weekly farmers markets, the Preforming Arts Center, and the Fife History Museum, it is easy to see why people fall in love with Fife, WA!